Wendy Dillard, B. Msc. is a Law of Attraction Coach and Law of Attraction Expert. You’re Wendy’s ideal client if you already know about the Law of Attraction and are highly inspired to use Law of Attraction principles to improve the quality of your life. Wendy can help you take what you already know about the Law of Attraction and APPLY it in a way the makes the concepts come alive. What some call miracles or amazing coincidences, Wendy considers the magical-norm in her everyday life. 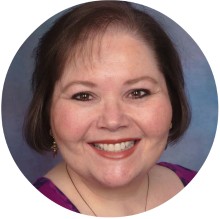 Wendy is ready to teach you how to apply the Law of Attraction so that you can live in such synchronicity with people, places and things, you would think you had a fairy god-mother magically orchestrating your life.